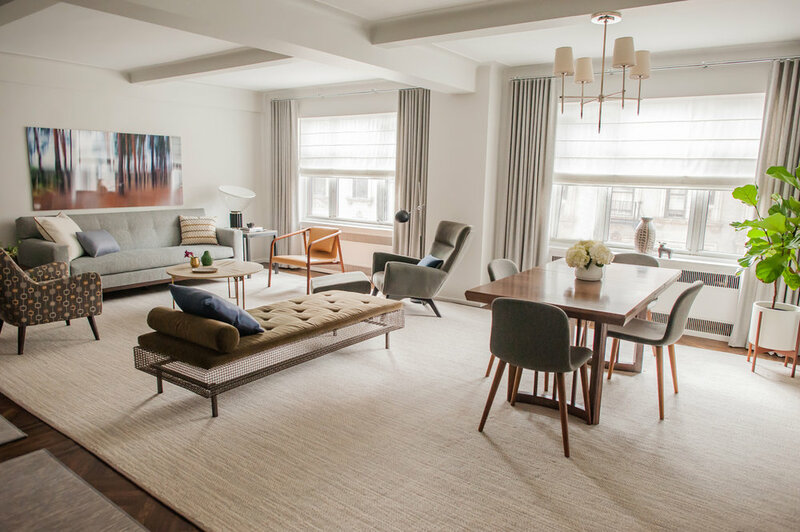 The interior design of our client’s Upper West Side apartment exudes a sense of modern, understated elegance. After combining two apartments the owner of this residence was faced with the challenge of planning their newly enlarged open living / dining room. They turned to Idea Space Architecture + Design to plan the furniture placement and select the decorative elements in the room. The custom window treatments were instrumental in softening the room’s overall aesthetic. The large-scale area rug was custom tailored to bridge both spaces together in a cohesive fashion. 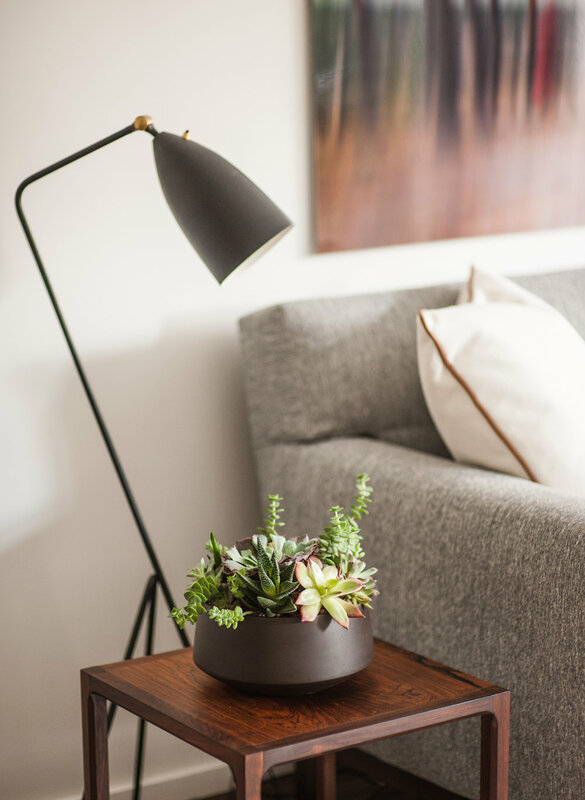 A mix of soft grays, wood and a warm neutral palette make for a comfortable and relaxed space to spend time in. Combining vintage pieces with new customized furnishings creates an exceptional balance that takes on a collected, timeless look.